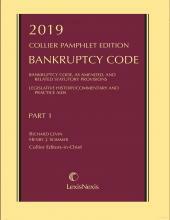 A comprehensive collection of commercial and consumer bankruptcy forms for use in cases under Bankruptcy Code chapters 7, 9, 11, 12, and 13, authored by Judge Kevin Carey, Chief Justice of the United States Bankruptcy Court for the District of Delaware, and Bonnie Glantz Fatell, a partner with Blank Rome LLP. 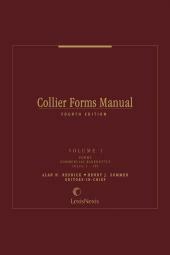 The Collier Forms Manual contains a comprehensive collection of forms for use in cases under Bankruptcy Code chapters 7, 9, 11, 12, and 13. 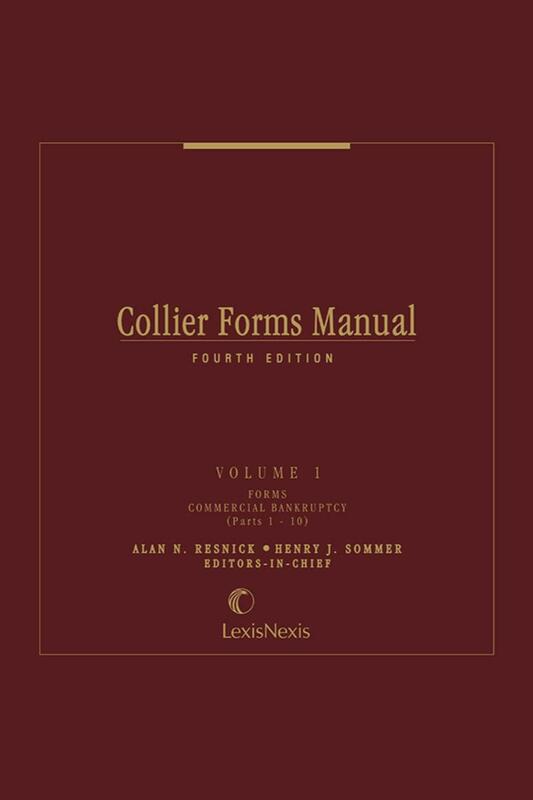 Four volumes are devoted to forms for commercial bankruptcies, while two volumes focus on consumer bankruptcy forms. 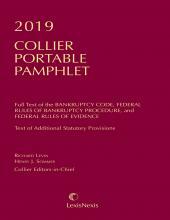 Organized topically accordingly to the day-to-day "tasks" performed by bankruptcy practitioners, each chapter includes collections of related forms accompanied by practical discussion and notes explaining the forms and their use. 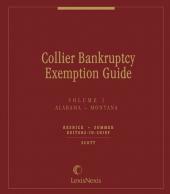 •The text of the Judicial Conference Advisory Committee Notes, detailing periodic changes to the mandatory official bankruptcy forms. Relevant Bankruptcy Code and Rule citations in the form titles, allowing ease of reference by attorneys. In addition to containing the relevant forms, each part contains expert analysis, including helpful practical advice for successfully drafting and filing the forms. Up-to-date coverage of developments in bankruptcy practice and procedure ensures that the advice is based on the cutting edge of the law and the most up-to-date official forms. Pauline K. Morgan has practiced business bankruptcy law since graduating from law school in 1987 and has practiced at Young Conaway Stargatt & Taylor, LLP in Wilmington, Delaware, since 1997. As a partner in the firm’s Bankruptcy & Corporate Restructuring Section, she has represented debtors, creditors’ committees and secured lenders in some of the nation’s largest chapter 11 cases. She has served as chair of the firm’s Bankruptcy and Corporate Restructuring section and as a member of the firm’s management committee since 2011. Ms. Morgan is a member of the Delaware, New York, Pennsylvania and New Jersey bars and also is a member of the American Bankruptcy Institute, the Turnaround Management Association, the Association of Insolvency and Restructuring Advisors, and many other professional organizations. She was appointed by the Chief Judge of the Third Circuit Court of Appeals to serve on the most recent Merit Selection Committee for bankruptcy judges in the District of Delaware. Ms. Morgan has been recognized by Best Lawyers of America as a leading bankruptcy practitioner in Delaware and ranked in the top tier by Chambers USA: America’s Leading Lawyers for Business, which notes that she is “a highly respected figure in the Delaware market”. In 2015, Ms. Morgan was inducted as a Fellow of the American College of Bankruptcy, and in 2016 she became a Fellow of the American Bar Foundation. She received her B.A. from Duquesne University and her J.D. from the University of Pennsylvania Law School. Hon. Kevin J. Carey has served on the Bankruptcy Court for the District of Delaware since December 9, 2005 (as chief judge from 2008 to 2011), having first been appointed as a bankruptcy judge for the Eastern District of Pennsylvania on January 25, 2001. 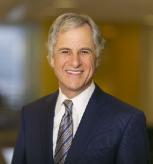 Judge Carey is on the Executive Committee of the Board of the American Bankruptcy Institute, is a past Global Chairman of the Turnaround Management Association, and a member of the National Conference of Bankruptcy Judges. Judge Carey is the Third Circuit representative on the Administrative Office’s Bankruptcy Judges Advisory Group and a member of the Third Circuit Judicial Council’s Facilities and Security Committee. He is a contributing author to Collier on Bankruptcy. Judge Carey is also a part-time adjunct professor in the LL.M. in Bankruptcy program at St. John’s University School of Law in New York City, New York and at Temple University’s Beasley School of Law in Philadelphia, Pennsylvania. He began his legal career in 1979 as law clerk to Bankruptcy Judge Thomas M. Twardowski, and then served as Clerk of Court of the Bankruptcy Court for the Eastern District of Pennsylvania. Judge Carey received his J.D. in 1979 from the Villanova University School of Law and his B.A. in 1976 from The Pennsylvania State University.